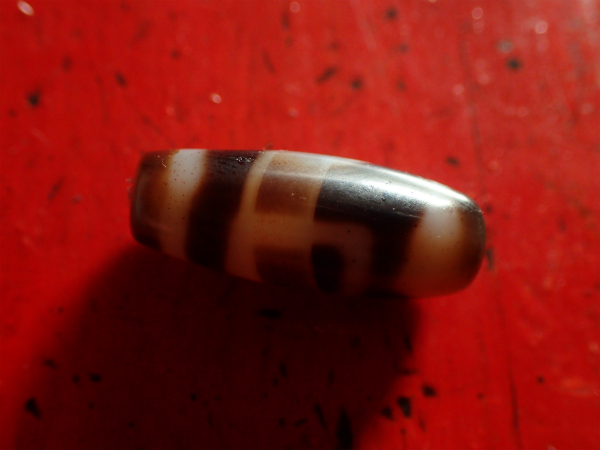 およそ2千年前のAncient Tibetan Sakor Namkor dZi. 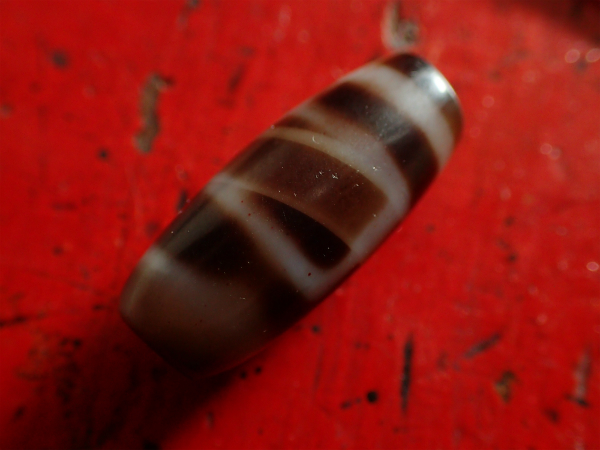 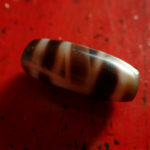 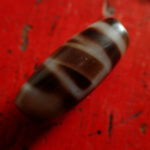 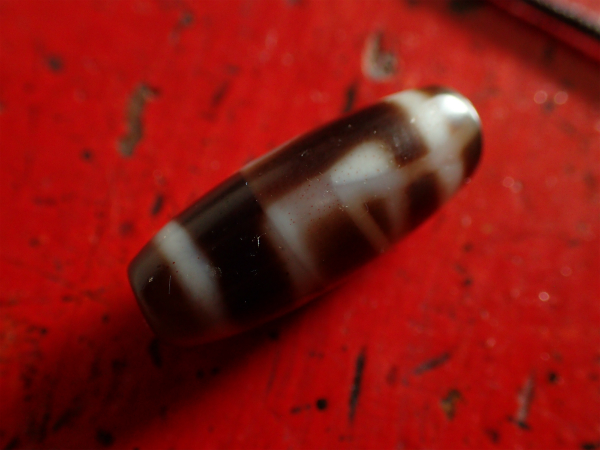 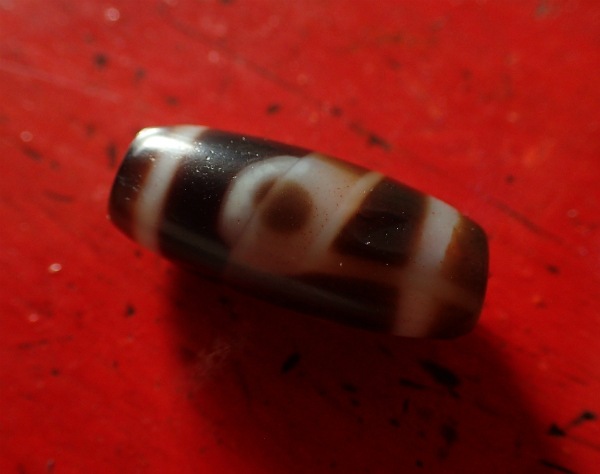 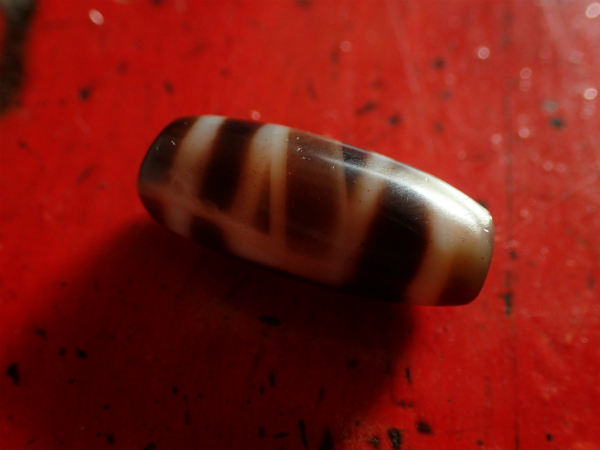 This very cute Heaven and earth dZi has a strong black base color with a slightly transparent stone quality. 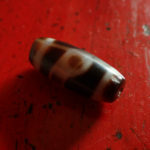 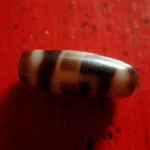 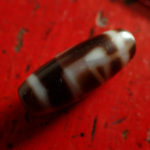 The unique feature about this dZi is that it shows a Dori(natural crystal inclusions)that looks like a half Box or a Earth Door at one part of the body. 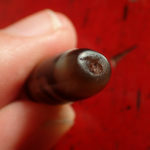 it is full of Blood spots all around. 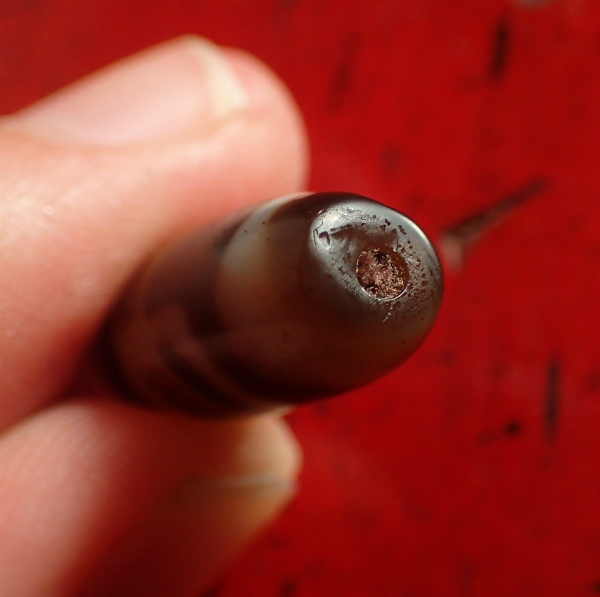 in perfect condition, no damage what so ever. 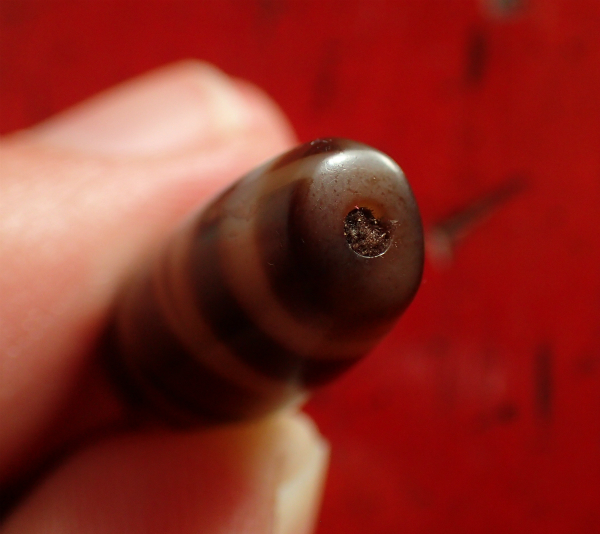 It still has a string inside the hole. 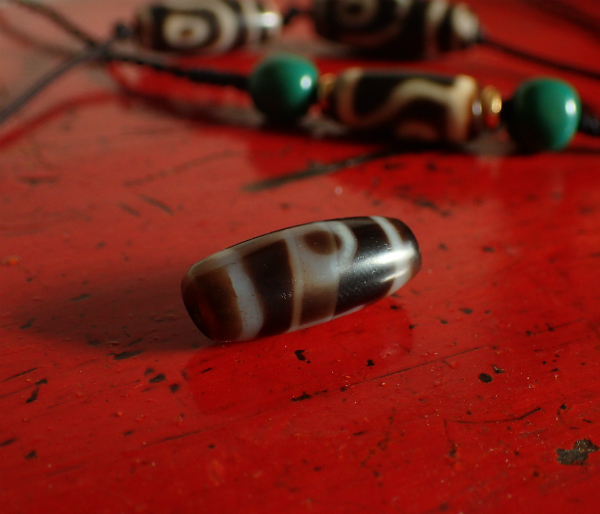 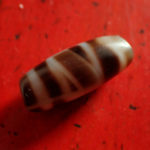 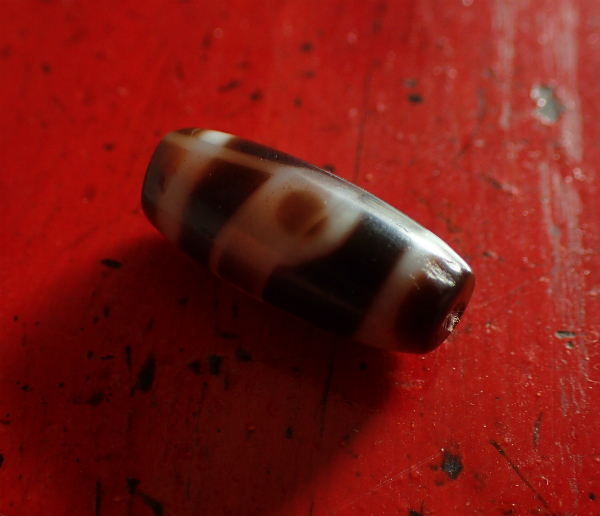 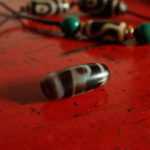 This dZi comes from the collection of Mr Lin, who wrote the book ,Gzi beads of Tibet. 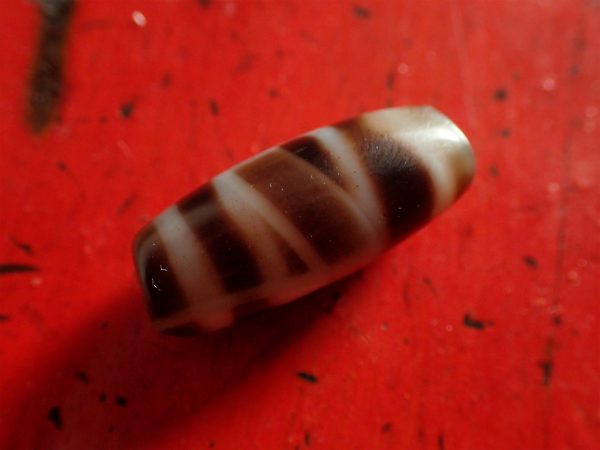 Videos will be provided if requested.